In 2018, the Penn Memory Center is launching three Cognitive Fitness programs: Skills Group, Therapy Group, and Social Group. Find information on each program below. People with a diagnosis of Mild Cognitive Impairment (MCI) can face challenges related to thinking, learning, and remembering. Research shows that individuals can compensate for certain memory and thinking deficits by learning skills and techniques to support daily functioning and optimize independence. Participants will learn to incorporate memory tracking, organizational tools, and other memory compensation techniques into their daily routine. 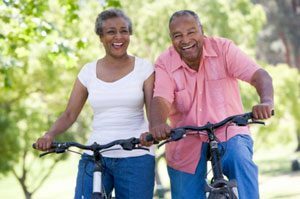 These new practices can minimize symptoms of cognitive decline and improve independence. Participants will learn to use memory and organization tools to create habits that support brain and body health. The next Cogfit Skills group will begin in the fall of 2018. For questions about the program or to register, contact Dr. Mechanic-Hamilton at the Penn Memory Center at 215-662-4516. Group sessions are covered by many, but not all, individual insurance policies. The Cognitive Fitness Psychotherapy Group is for people with MCI or subjective cognitive change, who are also feeling depressed or anxious. The group uses an Acceptance and Commitment Therapy (ACT) approach to address distressing thoughts and feelings. The next Cogfit Psychotherapy group will begin in the fall of 2018. The Cognitive Fitness Social Group is held one Friday per month, 10:30 a.m. to 12 p.m. The group is open to past-participants of the Cognitive Fitness Program and gives individuals an opportunity to meet-up, socialize and share ideas and thoughts about how to maintain the momentum for changes made during the group.